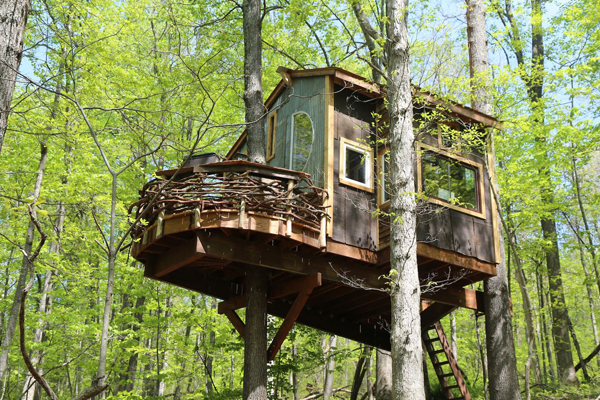 A treehouse signed by the American Barefoot Builders. If you want to live an unique experience in a special treehouse, this treehouse is for you! Built with 90% of recycled materials, each piece is unique and reused! Different materials are assembled, different techniques are present in this treehouse. 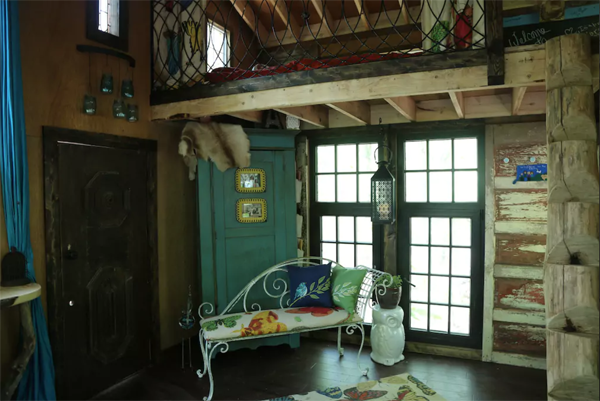 The facades are different one from to the others to make this treehouse original and special. 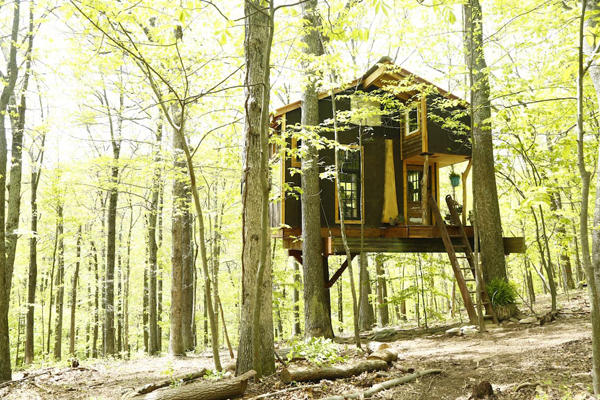 Pics by Trillium Treehouse. All rights reserved.